The Mount Pleasant Comfort Inn & Suites is known for being a leading property brand wide. Learn how Kipsu has impacted their guest service operations and helped land their team in the top 5% of all Comfort Inn properties! This award-winning property and its Front Desk Supervisor, Justin Della-Moretta, stands among the top 5% of all Comfort Inn Properties, passing some credit for that accolade onto Kipsu and the relationships they've built through digital communication. The Comfort Inn & Suites Hotel and Conference Center in Mount Pleasant, Michigan has been leveraging Kipsu for nearly a year, starting in December of 2017. Justin explained that they knew Kipsu was becoming a key contributor when they began proactively creating more guest relationships, rather than relying solely on guests initiating these opportunities. 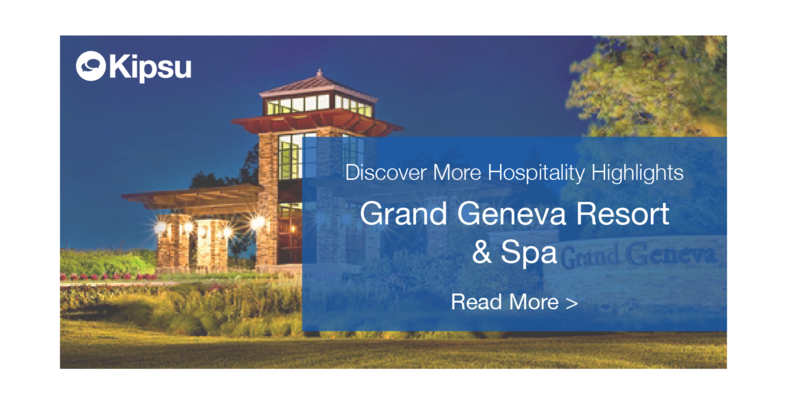 Centrally located in Michigan, The Mount Pleasant team provides exceptional accommodations to neighboring Central Michigan University parents and guests, players from nearby Soaring Eagle Casino, as well as many area business travelers. With such a unique and diverse guest profile, Justin highlights service staff empowerment, active service discovery, and staff personability as the driving forces to their success. Issue discovery is a crucial piece of the guest satisfaction puzzle. The Comfort Inn & Suites’ driving pursuit for excellence supports their ability to accommodate an expansive variety of travelers by doing just that, proactively discovering guest concerns before they leave the property. “Kipsu plays a great role in allowing us to find issues guests may not want to bring to us at the front desk,” he explained. Many guests avoid confrontation or feel worried their concerns are too petty to bring up to the team. Gone unreported, however, the concerns can fester and ultimately appear in satisfaction surveys or online reviews. This fear is alleviated by the service professionals onsite who are building relationships throughout the guests’ stay by way of Kipsu. With guests receiving welcome messages, relational capacity is built straight from check-in and promoted throughout the duration of their stay. The Mount Pleasant team has a strong guest-centered focus supported by an agent empowerment initiative. “We don’t want it to sound like the same message is being sent to everyone, we really personalize each message,” Justin explained. Service professionals are encouraged to take control and ensure each guest stay is excellent. Due to this empathetic and human approach, guests can guarantee that they’re going to be heard, understood, and provided for no matter the situation. With agents supported by the L.E.A.R.N. customer service model, Justin is able to use digital messaging as yet another avenue to support his agents. Whether it is by making use of recovery templates or using past conversations as training tools, the Mount Pleasant team has been extremely agile. These initiatives have allowed them to reach their service goals resulting in a large boost in their guests’ likelihood to recommend property scores - a key component driving Comfort Inn properties to the top of the leaderboard. By enabling human interaction through messaging, the team is able to create greater personal connections within their ever changing guest demographics. Whether you are a parent in town for a CMU football game, a windmill technician in on business, or a wedding/event guest, the Comfort Inn team is able to accommodate you with a first-class service experience. Fake Online Reviews: Are they Real? It’s a great tools to work with .